While many of the steps in buying a home are the same as buying a condominium, townhouse, or apartment, there are many critical differences. This new book offers a complete overview of these special, usually smaller, residences. These units can be good options for first-time home buyers, for those who want a vacation getaway, investors, and those who want to downsize their living space. These housing units are usually less expensive than a single family home and can include attractive amenities. In purchasing one of these units there will be a lot of people to deal with, from realtors, condo boards, attorneys, to bankers. There is a ton of paperwork with terms and vocabulary that read like a foreign language. In this new book you will find vital information and great strategies for finding the home you want faster and feeling confident about the purchase. You will learn to avoid some of the most prevalent and potentially dangerous and expensive mistakes made by others. 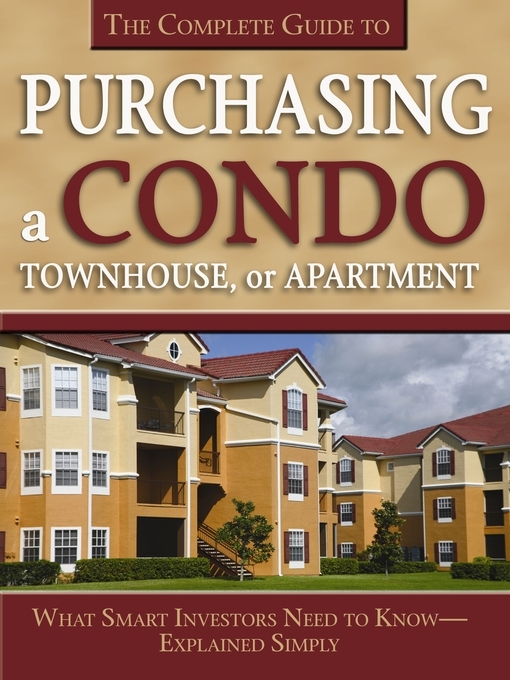 The book covers the entire, unique process of buying one of these shared living houses in an easy-to-understand way, pointing out dozens of hints and suggestion as to what to look for as well as demonstrating the many mistakes common with these types of investments. You will learn how to find the best opportunities, to negotiate, finance, budget, handle pre-construction issues, set values, and make the offer. You will be able to define what you are buying (and what you are not) issues on your right to sell, lease, or mortgage. You will be prepared for restrictions pertaining to children, pets, parking, vehicles, boats, music, maintenance of windows, doors, screens, air conditioners, plumbing, club memberships, recreation facility leases, use of recreational facilities, and common areas. In addition, you will learn the advantages of using credit reports, home warranties, insurance, creative financing, closing procedures, moving plans, closing and settlement inspections, and certain legal contracts. You will have instruction in obtaining mortgages which government agencies can help, considerations for veterans, IRA use, hiring an attorney, calculating monthly payments, and establishing an escrow account. The real estate and mortgage glossaries alone are invaluable resources, even for the old hand at property acquisition.